If you can dream it, we can build it …better! In December 2008, almost a decade ago exactly, Case-Shiller posted a record 18% price drop in home values across the country as the subprime mortgage crisis reached fever pitch. After a slow and painful recession period, economic prosperity pushed the market out of recovery mode and into a full-fledged real estate boomcharacterized by double-digit price growth, rock-bottom inventory and surging buyer demand over the past few years. It’s been the lowest of lows, followed by a glorified golden age for the country’s trillion-dollar residential real estate business. In the wake of these tales of two extremes, it’s hard to remember what a more neutral market even looks like. But a new normal, one that’s neither ice cold nor fiery red, does appear to be taking shape. The trend isn’t a seasonal holiday lull, either. My first tip-off that winds of change were brewing came from an interview with a New York City real estate agent back in June. Over the phone he told me that home prices were down in his area 5-10% from six months ago. I had to listen back through the recording and make sure I’d understood it right. But he’d made no mistake. Sure enough, in September, a wave of 465,000 new listings came on the scene throughout the nation’s 45 largest metros, an 8% increase that marked the largest annual inventory growth spurt since 2013. At the same time residential construction data shows builders are adding a bit more inventory to the mix, with housing starts up 3.7% year over year. Home values continue to rise at a healthy clip, though Case-Shiller reports chilling year-over-year price gains. Denver, Seattle, New York, San Francisco—well-known for their coveted, pricey housing and white-hot markets—are all softening in this last gasp of 2018. Rest easy, no one’s warning of a housing bust 2.0 danger zone. The current price run-up wasn’t artificially bolstered by mortgage fraud, but rather economic fundamentals including a growing jobs market, and that thing we all learned in Economics 101: supply and demand. In fact, economists forecast that sellers will keep their foothold for another couple of years at least, though with weakened negotiating power. Many markets are tilting back into equilibrium, but by historical standards, many continue to favor sellers and those trends will continue in 2019. High-cost, overpriced markets and those coming off of significant inventory shortages should see conditions shift more quickly, and feel more buyer-favorable than they have in recent years. As homebuyer fatigue and affordability challenges have gathered enough momentum to shake up the seller’s gridlock in select markets, here are five trends real estate experts say you can expect to see play out in the housing market throughout the end of the year and into 2019. 1. Mortgage rates will continue to rise and hit 5.5% in 2019. The Federal Reserve has implemented four federal funds rate hikes over the course of 2018, and experts say a fourth hike is to come in December. Mortgage rates do not necessarily move in line with Federal Reserve policy, but short-term rate changes do put pressure on long-term rates like the 10-year Treasury note and mortgages. Over the past year the monthly average 30-year fixed mortgage rate has increased by nearly a full percentage point, from 3.92% to about 4.9%. With each step up, buyers lose a little purchasing power, but the barrier may be more psychological than financial. When I bought a house in the spring, my rate increased from 4.25% to 4.375% between pre-approval and lock-in, and it felt like a big deal. Yet despite what seems like swift upward movement, mortgage rates remain historically low (remember the 10% averages of the early 1990s?). The difference between a 4.875% rate and the imminent 5% mark is only $20 per month on the average mortgage. Yun predicts the Fed will “certainly” raise the short-term interest rate three to four more times in 2019, pushing mortgages up to 5.5%. 2. Homebuyers will have more negotiating power, and sellers will need to make more compromises. Realtor Kelli Griggs, who services the tri-county area of Sacramento, El Dorado and Placer as well as the San Francisco Bay Area, describes a time at the height of the seller’s market when there were no opportunities for buyers to even make repair requests. Griggs recalls when sellers would have a 65-page long list of things wrong with their home, or $23,000 worth of foundational issues, and then market it as an “as-is” sale with no trouble. Expect bidding wars to become less competitive, and price reductions to become more common. 3. As price gains slow, home values will still appreciate at a 2-3% clip. In recent years, sellers have enjoyed booming annual price gains in the 5-8% range across the nation, with the hottest markets like San Jose, California and Seattle seeing 11-12% yearly increases. “Those days are over,” said Yun. The market’s not currently at risk of any extreme or sudden price drops, and homeowners will generally continue to enjoy moderate price appreciation for the foreseeable future, but at a much slower pace. 4. Markets will cool faster or slower depending on local conditions and tax burdens. Real estate is local, so anytime there’s a market shift, it will manifest differently region by region, state by state and even within metros and individual neighborhoods. States with higher property taxes such as New York, New Jersey, Connecticut and Illinois were hit harder by the 2017 tax reform package that capped the mortgage interest deduction at $750,000 (down from $1 million) and placed limits on state and local deductions, and the effects of that are starting to materialize. In addition, cities that experienced an extreme price run-up in a short span of time, like Seattle, San Jose and even Austin, Texas, will be more prone to a market correction, as opposed to some Southern cities such as Atlanta, Nashville and Orlando, which have appreciated at a more tempered pace. “Those markets that are seeing some downturn and correction—it’s because they have gone up so high in the last 6 years,” says Jack McCabe, owner of McCabe Research & Consulting, a real estate and economic advisory and consulting firm. 5. Upper-tier markets will soften while demand for entry-level housing remains high. Expect to see a continued disparity between lower-end and moderately priced homes compared to the luxury sector. While the higher-end of the market is noticeably softening, Yun says that as job creation adds a new pool of potential first-time buyers, there’s still strong demand for entry-level housing. Nevertheless, we’re seeing a slowdown in existing-home sales—completed transactions across the single family, townhome, condo and co-op market declined 3.4% in September over August, and were down 4.1% year over year. However, the deceleration in sales may only be temporary. “While rising costs to buy and a lack of affordable options for the mainstream buyer will limit overall sales in the short term, the demand outlook is bright and powered by a large, growing demographic, with the highest number of millennials entering their home buying years in the next 5 years,” said Vivas. The Bay Area job market continues to race ahead, bolstered by big employment gains last month in the East Bay and smaller increases in the South Bay and San Francisco areas, state labor officials reported Friday. 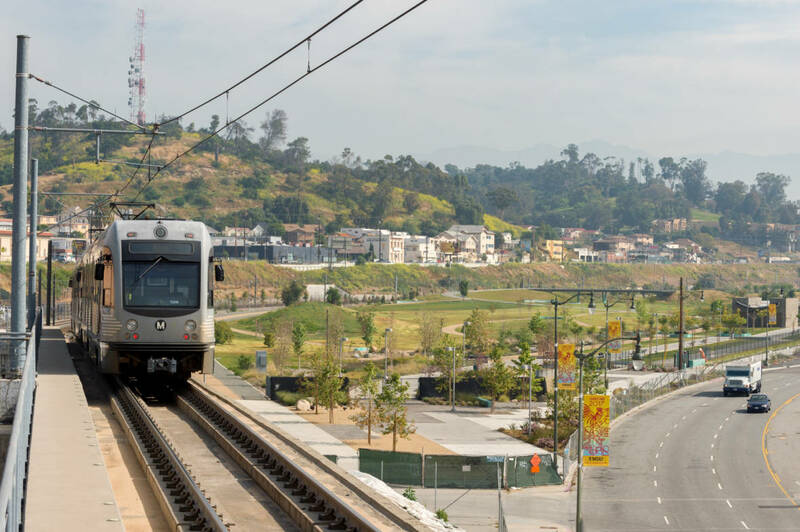 The East Bay added 2,400 jobs, the San Francisco-San Mateo region gained 1,000 and Santa Clara County added 200 jobs, according to a monthly report from the state’s Employment Development Department. Those numbers helped the Bay Area post a gain of 5,700 jobs last month. All the numbers were adjusted for seasonal variations. The Bay Area now has topped 4 million payroll jobs for two months in a row, extending an employment boom that has chalked up job gains in the nine-county region for 17 consecutive months, the employment department figures show. One trend has clearly emerged this year, even with the South Bay’s gain of fewer jobs in September compared with other parts of the Bay Area: Santa Clara County’s economy has galloped far ahead of the nine-county region’s two other major urban centers during the last 12 months. Over the one-year period that ended in September, total payroll jobs grew by a hefty 3.7 percent in Santa Clara County. The South Bay posted a much faster pace of employment growth than the 2 percent in California and 1.9 percent in the East Bay, San Francisco-San Mateo region and the United States during the same 12 months. The technology industry added 700 positions in Santa Clara County, but most of those gains were offset by job losses in other industries, including educational services. Tech added 1,200 jobs in the East Bay and 200 in the San Francisco-San Mateo region during September, according to seasonally adjusted estimates provided to this news organization by Beacon Economics and UC Riverside. Other strong industries in September, the Beacon analysis showed: Retailing gained added 800 jobs in the East Bay, health care employers added 1,200 jobs, and hotels and restaurants added 900 jobs in the San Francisco metro area. Construction companies increased their payrolls by 300 positions in the South Bay. California added 13,200 jobs during September, and the statewide jobless rate reached a record low of 4.1 percent, the lowest unemployment rate for the Golden State since 1976, according to the EDD. Unemployment rates in the Bay Area’s three largest urban centers were all under 3 percent, the Beacon-UC Riverside analysis showed. The September jobless rate was 2.9 percent in the East Bay and 2.2 percent in the San Francisco-San Mateo region and are, in both cases, unchanged from August. The Santa Clara County unemployment rate was 2.5 percent, an improvement from 2.6 percent the month before. The rates in the three regions all matched record lows. The ultra-low jobless rates are a key indicator that the Bay Area is effectively at full employment and that the great majority of employers have packed their payrolls with essentially every worker they can find. “Companies have signaled that they want to hire thousands of people, with Facebook, Google, Apple, Adobe, LinkedIn, Amazon all adding jobs regularly,” said Stephen Levy, director of the Palo Alto-based Center for Continuing Study of the California Economy. The region’s brutal traffic jams and forbidding housing costs remain the primary yellow flags that could impede the record-setting growth in the Bay Area, experts said Friday. “The only clouds over the economy are whether we will be able to house people in the Bay Area and whether we can get them to their jobs in a decent amount of time,” Levy said. Other experts agreed about the primary threats to the Bay Area’s hot economy. Stop raising assessments. It’s a universal request, whether you’re part of a high-rise association in Los Angeles or an active adult HOA in Palm Springs. And while there are many good reasons to raise assessments (let’s face it, keeping assessments low at all costs can actually hurt your community’s relevance and cause property values to suffer), no board wants to be the “bad guy.” So before you raise assessments, take a look at these four cost-savings methods. To get an in-depth look at these cost savings, read the full article. In California (and everywhere else), it’s clear that energy costs are on the rise. And making changes to boost energy efficiency is a reliable way to save money in the long run. Partner with your professional community management company to find ways to boost energy efficiency. For instance, you may install light switches on motion detectors so that no lights can be left on when the room is unoccupied. A long-term solution (like replacing all traditional lighting with LED lighting) may require a bigger investment upfront, but will likely save money in the long run. One single-family home community association in Dana Point partnered with FirstService Financial and increased their annual interest earned by more than $27,000. If you haven’t reviewed your HOA’s insurance coverage recently, you may be paying more than you need to in premiums or deductibles. It’s important to work with a trusted insurance broker or agent that has experience with homeowners associations and can work with yours to get the best rate. To learn more about the intricacies of HOA insurance, download the white paper: 4 Things You May Not Know About Community Insurance. In our 2018 Budget Survey, over 57% of surveyed board members said they weren’t sure if their property management company asks vendors whether there will be cost increases in in the following year’s budget. In fact, by reviewing contracts regularly and communicating with vendors consistently, you may be able to uncover cost savings. While these four areas of cost savings are a good starting place, it’s important to note that this is not an exhaustive list. A good way to evaluate potential cost savings in your investments particularly is by creating an HOA Investment Policy. An HOA Investment Policy is a guide you can use to help you uncover better returns on your reserve funds and potentially save money in the long run. To learn more, download the guide, How to Create an HOA Investment Policy. An El Niño is forecast for the winter ahead, and we all know what that means. Or do we? Does the Bay Area Have Enough Water for Economic Growth and Salmon? El Niño – that cyclical warming of the equatorial Pacific Ocean – has long been associated with wet winters across much of the West. Which is always welcome news across the chronically water-short region. 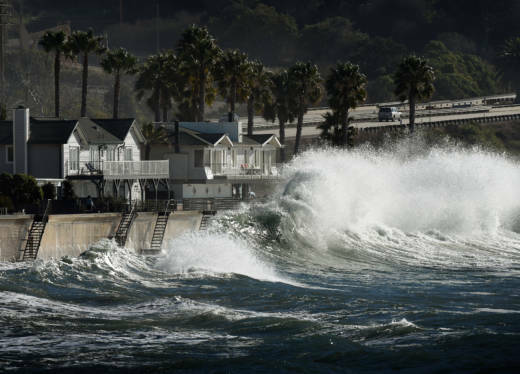 But in reality, whether El Niño actually delivers greater-than-normal precipitation is strictly a toss-up, says Jan Null, owner of Golden Gate Weather Services, a consultancy based in Saratoga, California. The National Weather Service Climate Prediction Center tells us, in its most recent forecast of the El Niño Southern Oscillation (ENSO), that there is as much as a 70 percent chance of El Niño conditions forming during the winter ahead. And it’s likely to be a “weak” El Niño. But what does that mean? Elementally, it means the equatorial Pacific is expected to be warmer than normal, and this may alter weather events around the globe. But it doesn’t mean you should get your hopes up for a wet winter. Null has taken it upon himself to try to bring a dose of reality to the situation, via an exhaustive breakdown of precipitation results from past El Niño events. In an interview with Water Deeply, he explains why our expectations about this weather phenomenon are often wrong. Water Deeply: What does an El Niño prediction mean for precipitation in California and elsewhere in the West? Jan Null: With any El Niño, and especially weak events, there is no strong correlation with either above- or below-normal precipitation in California. For example, in the very important Sacramento Basin, of the 10 weak El Niño events since 1950, five have been above normal and five below normal. And the range of these solutions is from 43 percent of normal in 1976–77 to 135 percent of normal in 1977–78. Likewise, rainfall in the California portion of the Colorado ranges from 30 percent of normal in 2006–07 to 214 percent in 2004–05 – both weak El Niños. Water Deeply: Why is forecasting El Niño so difficult? Null: The accuracy for seasonal forecasts is not nearly as absolute as our weather forecasts in the short term. So with forecasting El Niño, you’re going to run into all the same issues you have with any seasonal forecast. Also, we’re finding out more and more that ENSO events are not happening in a vacuum. It’s not the only thing that’s going on. You also have the Pacific Decadal Oscillation, the Madden-Julian Oscillation, the Arctic Oscillation. I call it an alphabet soup of different things we have going on in the oceans and atmosphere. But, of these, the strongest single events are ENSO events, which I think is one of the reasons they get so much attention. But they don’t happen in that vacuum. So sometimes these other things make the ENSO events stronger, or they might subtract from the impacts. So not only do we have to forecast what the ocean temperatures are going to be along this fairly narrow swathe of the equatorial Pacific. You really have to consider what’s going on in all these other places – looking at pressure patterns in the Arctic or what’s going on in the North Pacific. It’s a complex puzzle. If you forecast one piece out of place, all the other ones aren’t going to fit right together. Then we also have to discuss the fact that you have climate change DNA in everything that’s going on. The atmosphere and the oceans are warmer, so that’s going to add into the complexity of what’s going on. Water Deeply: Much of the West is grappling with long-term water shortages. How should we manage our expectations around El Niño and avoid any ‘hype’? Null: I don’t think it necessarily is El Niño hype. There is always the hope that the next winter is going to be wet. People fixate on the idea that “This is an El Niño storm.” Well, you also have big storms in years that are not El Niño. Historically, the way we get our “normal” precipitation is typically by having a lot of years that are a little bit less than normal. And that’s really what the drought in 2011–15 was. So that means you have a deficit over those four years. So to make up that deficit, you not only have to have a normal year. You almost have to have a year that would be twice as wet as normal. But something we have learned is that we can recover without making up all the deficit. And I think we saw that with the water supply after what happened in 2016–17, which was a wet year. It’s really important that water managers, the media and the public get out of the old mindset from 1982–83 and 1997–98 that El Niño means a wet winter for California. I think the attention is appropriate. You just have to put it in context. I’ve often used, over the years, the analogy of a baseball team. You may have this one player who’s a superstar who helps you get more wins than any other player. But on any given day, somebody else might have a hot day and be the one who’s going to be the star. El Niño is not the only player on the team. Anyone who has been in the real estate industry for more than a few years has seen some dramatic changes in the market. Over time, the average square footage of single-family and apartment homes shrinks and expands to accommodate economic and family unit size fluctuates. Area property values rise and fall based on regional expansion and net migration. Federally-controlled interest rates often define the winners and losers in the investor pool. Through all of these changes, city planners have delineated locations within greater metropolitan areas as cities and suburbs. Today, there is a new dynamic that shouldn’t be ignored, the gradually disappearing line between city and suburban property lines. Since the late 1940s, when William J. Levitt built the first planned community just outside New York City for WWII veterans and their families, we have thought of suburbs as mostly an area detached from the business district. In the early decades, when most women stayed home, and the husband commuted into the city, there were few businesses beyond a grocery, drugstore, gas station and a few shops in these primarily residential areas. When we hear the word “suburbia,” a picture of the white picket fence surrounding a single-family home with flowers lining the path to the front door pops into our head. This quintessential image is pleasant, but no longer the norm. The twenty-first-century reality, where millions of people work from home – about 43 percent of all working adults work remotely today – means that fewer people feel pressure to live close to the office. That doesn’t mean multifamily housing is losing market share in the city. Hundreds of US cities report more than 50% of residents rent. However, the face of suburban living is changing; suburbia is no longer primarily furnished with cookie-cutter single-family homes. You’ll find sprawling malls, hospitals, commercial tenants, and both detached single-family and apartment homes all within the same area. Demarking where the city ends and the suburbs begin is very complex today. Market analysts suggest it’s time to cease using geography as the basis for defining markets and embrace density as a more reliable housing intelligence driver. Using this alternative framework provides a more nuanced method of understanding what modern renters need and expect from multifamily housing providers. Rather than continuing to use city limit boundaries to establish metropolitan statistical areas, it’s time to view housing stock with a fresh lens. By defining areas based on density, market analysts get a clearer picture of the true market share of multifamily housing versus detached single-family dwellings. Urban and suburban areas tend to share many common characteristics today, including a growing multifamily housing presence in areas traditionally viewed as suburban. City planners and developers armed with this “new” information can create more realistic development and expansion plans. Not every renter is looking for a nest in the center of the city, although that will always be an attractive location for some. Likewise, everyone who wants to escape the city, isn’t looking for the white-picket-fence American dream of the 1950s. Some want a well-managed apartment home in a community close enough to visit the city if they chose, with convenient access to everything they need from entertainment and shopping to medical care and work opportunities. The sands are shifting in the housing market. It’s time for real estate professionals to embrace a new way of studying it. Arbitrary lines on a zoning map are no longer delivering the data we need to respond to the changing multifamily landscape. Thousands of Californians Live in Cars. Will This Man’s Lawsuit Stop Cities From Impounding Them? Sean Kayode says he watched his whole world roll away from him at 3:00 a.m. Kayode had been living in his car in San Francisco for about two years. During the early morning of March 5, traffic police towed and impounded his black 2005 Mercedes Benz — for having too many overdue parking tickets. For Kayode, who now lives at Next Door, his car wasn’t just a place to sleep, it was how he earned a living, he said, delivering food through Uber Eats. He shakes his head in disbelief at where he was, and where he is now. Is it Unconstitutional to Impound a Car for Unpaid Tickets? An estimated half million cars a year in California are impounded, unclaimed and sold, according to Jude Pond of the Lawyers’ Committee for Civil Rights in San Francisco. He said many of those cars belonged to poor people living in them. 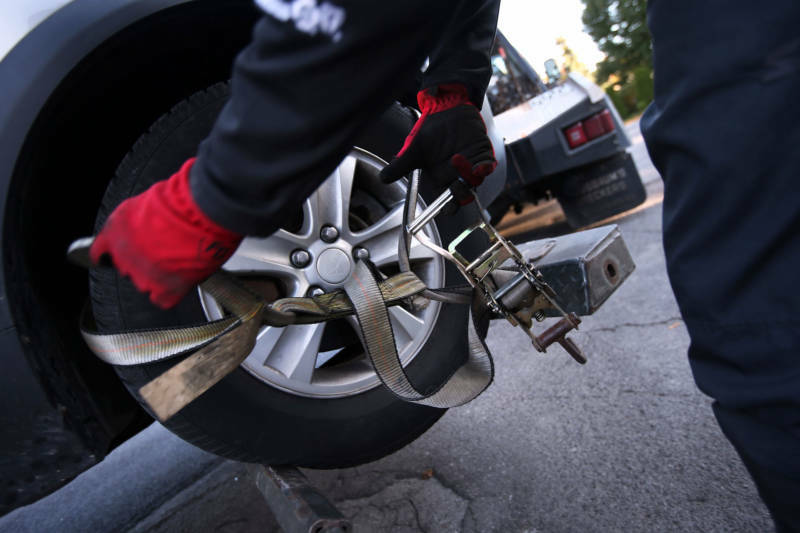 Pond helped file a lawsuit on Kayode’s behalf to challenge the California law that allows cities to tow a car away if that car has five or more overdue parking tickets. Many cities follow that policy, and Pond said it’s unconstitutional in several ways. The government should not be allowed to take someone’s property without any notice and without a warrant, he said. That’s doubly true because these vehicles weren’t used in a crime, but were towed simply for financial reasons — just to collect fines. Cities do not issue warnings, outside of the fine print on a parking ticket, that they’re coming to impound a vehicle. Parking officers just show up and take it away. And in the case of the homeless who live in their cars, city officials are taking their temporary home from them, which raises the stakes above the taking of a vehicle, Pond said. “We’re hoping that this case sets the precedent that the city should not take people’s only asset — in this case their car — for the purpose of satisfying a debt, based on just outstanding parking tickets,” Pond said. In San Francisco, officers towing a car with a homeless occupant will contact the police department and social services to help that person get services, according to Paul Rose, spokesman for the San Francisco Municipal Transportation Agency, who responded by email. Tens of thousands of Californians are living in their cars. Because losing those cars to impoundment can mean the loss of work and home, it can be a tipping point into a life on the streets. For many people, having their car towed for overdue parking tickets is a major annoyance and life disruption. But for homeless people, it’s a permanent loss, because most of them cannot afford to recover their cars. Offenders must reimburse the tow charge, roughly $500. They also need to pay off their original tickets and the accrued fines on those tickets, which can be $1,000 or more. On top of all of that, it usually costs $71 for each day the car is stored at the tow yard. In Kayode’s case, more than five months after his car was impounded, it would cost him more than $21,000 to get his car back. That’s about $20,000 more than he paid for it. Ostensibly, the city is towing the car to collect a debt, but in many cases where cars are unclaimed and eventually sold, the city doesn’t make much money on the sale, if anything. That’s because the tow yard has first dibs on any cash collected. For the cities, though, it’s not about the money, according to UCLA political expert Zev Yaroslavsky. Yaroslavsky spent four decades in local government in Los Angeles, most of it on the county Board of Supervisors. He said he understands why cities hold onto their impound power with both hands. At the same time, he said, there has to be a middle ground when towing cars from the homeless. At the moment, though, the middle ground is hard to find. Homeless advocates say cities could make exceptions for extremely low-income citizens — maybe let them hold onto the car, but pay off the tickets in installments. Some cities, including San Francisco, have a payment-plan program — but nothing in place to return cars to the homeless or restrict impoundment of those cars in the first place. A federal district court judge in San Francisco is expected to hear Kayode’s motion in September for a preliminary injunction to get his car back. A hearing on his lawsuit would be scheduled after a ruling on the injunction. 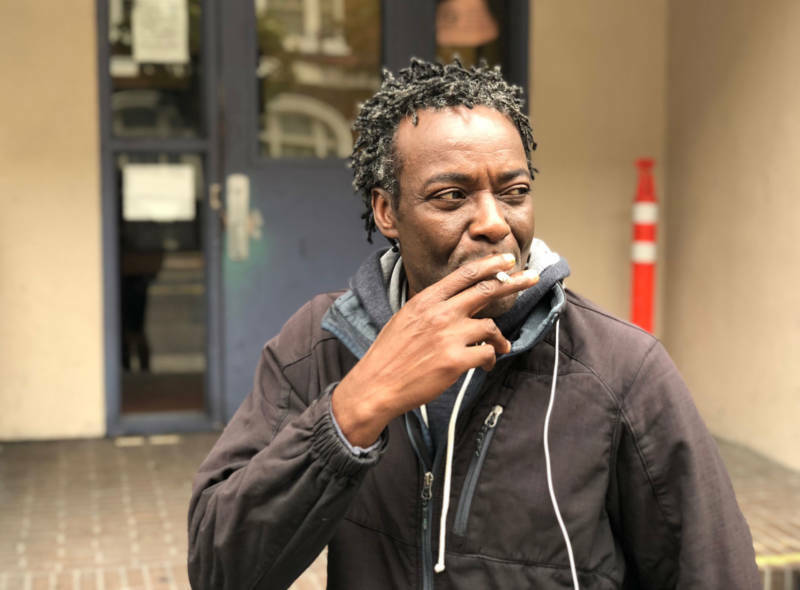 Of course, if the preliminary injunction is granted and San Francisco has to return Kayode’s car, he will still technically owe that $21,000 in parking, towing and storage fees until the case is decided. Kayode, who has been homeless for the past six years, looks back on the incident and its aftermath with a mixture of anger and despair. He stops a moment, looks around the crowded and chaotic lobby of the homeless shelter he now calls home. The California Dream series is a statewide media collaboration of CALmatters, KPBS, KPCC, KQED and Capital Public Radio with support from the Corporation for Public Broadcasting, the James Irvine Foundation and the College Futures Foundation. What Do Renters Really Want? What do renters really want? As property managers and other real estate professionals look for solutions to boost closing and retention rates, this question comes up all the time. Most industry experts agree that authentic, personalized customer service ranks high on the list. Happy customers who feel valued are more likely to stay in a relationship. Considering that about 60 percent of renters move in planning to relocate within the next 12 months, “wowing” them at the closing is a great first step toward increasing retention rates. What else do renters want that your team isn’t giving them? Did you know that research shows only 25 percent of apartment seekers who view a property are asked to sign the lease? If your leasing team isn’t confident they are offering a best-fit rental home for a prospect, why should the renter be motivated to take the next step? When you ask what amenities and community characteristics are most important – in-unit laundry equipment, pet-friendly policies, high-end appliances – they will tell you. Ask your current residents what they like most about their current living arrangement and what improvements would convince them to renew the lease when the time comes. When surveying your current residents, make sure to use their preferred communication method. Does your team ask new residents if they prefer paper, email, text, or tenant portal notices and updates as part of the welcome home interview? You should. Keep your survey simple. A form that is easy to fill out, and anonymous, will usually generate more returns, and more accurate responses. Creating a pre-move-in questionnaire and a follow-up in a couple of months, allows you to identify ways your property is meeting renter expectations, and discover clues for improving community experiences. Consider these questions as a starting point for survey design. Which on-site amenities are your favorites? What could property managers add, change or remove to make the property feel more like home? Do you feel valued and appreciated by the customer service team and policies? How would you rate overall safety and security within the community? Is the maintenance staff responsive and efficient? Are you ready to respond? While 13 percent of Americans don’t have smartphones, the other 87 percent use their devices to manage daily life. Deploying modern, state-of-the-art property management software that responds to the thirst for instant gratification – like an instant confirmation the rent payment is being processed through the tenant portal – will simplify everything they do. Be bold. Ask your tenants and prospects what they want and need. Modern property management software should enable you to send surveys directly to your renters and easily track responses. Make sure your technology enhances customer service with online maintenance requests, streamlined, efficient communication and tools that make it easier for your team to focus on developing superior customer service strategies to boost retention rates.